Peaceable Kingdom: NorthStar Pet: What Time Is It? 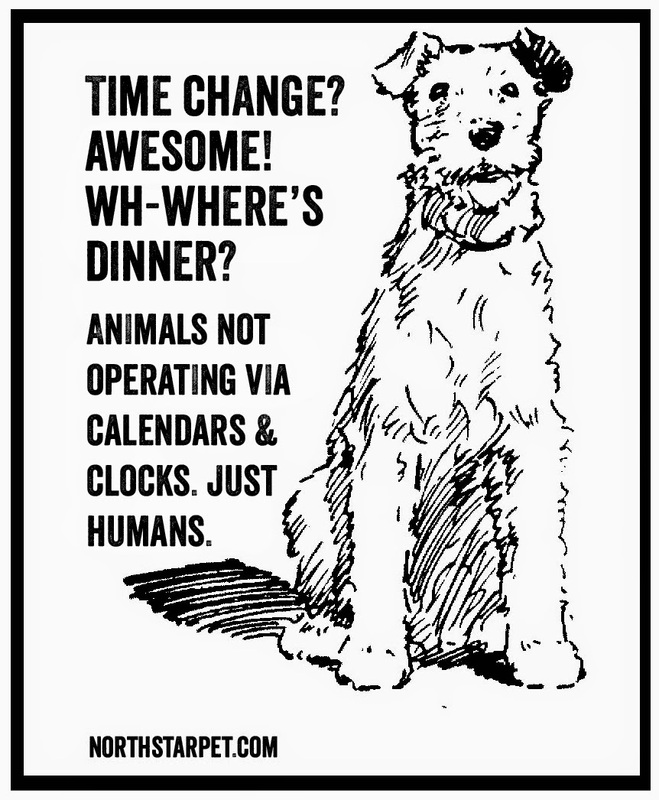 NorthStar Pet: What Time Is It? Realized this morning, after the mental fog lifted, and I'd had half a cup of coffee, when Bob the cat awakened me for breakfast "inexplicably" at 5:00 a.m., she was right on schedule, 5:00 a.m. has been 6:00 a.m. for the past eight months! Fall back one hour on Sunday, November 6th.